Born in Pueblo, Colorado on May 18, 1892. Attended Benedictine College 1905-1908 and St. Mary's College 1908-1910. Commissioned in the Infantry in 1917. Duty with 20th Infantry 1917-1919. 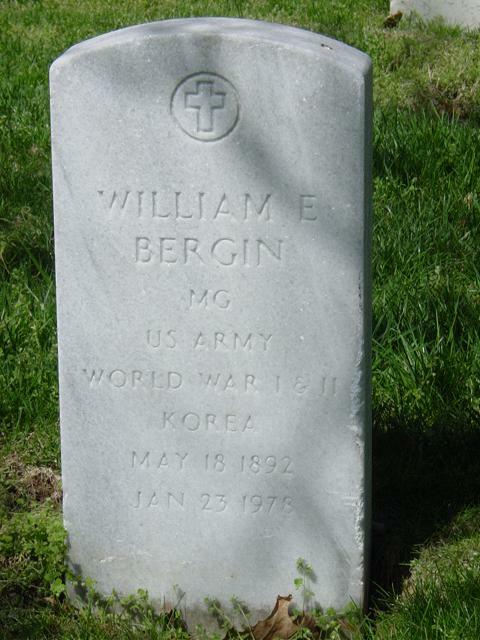 Professor of Military Science and Tactics at Georgetown University 1921-1925. Graduated from Command and General Staff School in 1934. Adjutant General at III Army Corps December 1940-February 1942. Chief of Staff of Headquarters Detachment, Chinese Training and Combat Command in the China-Burma-India Theater of Operations 1942-1945. Brigadier General in March 1943. Duty at Army Ground Forces, then with Tenth Army at Okinawa in 1945. Assignments after the war included the Adjutant General, U.S. Army July 1951 until retirement in March 1954. Decorations included the Distinguished Service Medal and Legion of Merit. Died on January 23, 1978.